Here at Salon Femia, we love our customers, and it shows! 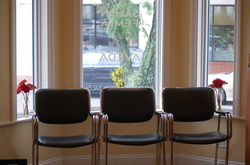 We consider the Salon an extension of our family, and we warmly welcome you to join us. What do we love about this field? Every day, we get to use our creativity, experience and talent to create styles that dazzle, for people we've come to know and love. Not everyone gets to do that in life! That's what keeps us passionate and excited about our trade. We like to keep up with the latest trends, while not forgetting the classics that influenced today's look. We particularly love doing color work, from single process coloring to highlighting and color correction - people call us the "Color Experts!" If you have any color concerns or questions, we want to hear from you. We have over 20 years experience helping people look and feel their best, so we know how to achieve 'that look' that turns heads and puts a smile on your face. Our goal is to provide you a healthy, relaxing, intimate and friendly environment where you feel comfortable with our stylists. Maybe you just want to maintain a style you've already decided on. If so, no problem - we can duplicate it for you. But since we do keep up with the latest style ideas, maybe you're in the mood to try something more adventurous, something we can dream up together that shows a whole new you! That's what we call 'fashion forward' - it's your choice and we'll respect whatever look you want. 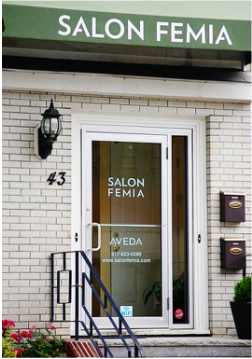 Salon Femia is proudly family owned and operated - we invite you to come and join our family!